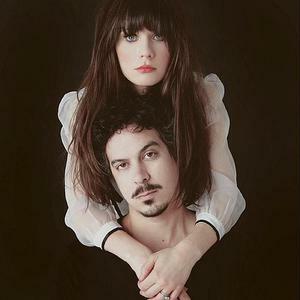 She & Him is an American indie folk band consisting of Zooey Deschanel (vocals, keyboards) and M. Ward (guitar, production). The pair first met in 2006 for a movie soundtrack project for the film 'The Go-Getter' in which they recorded a version of Richard and Linda Thompson's "When I Get To The Border?. Their first studio album, Volume One, was released in March of 2008 on Merge Records. Their second studio album, Volume Two, was released March 23, 2010, just over two years since the release of Volume One.